Fortunes are made and lost in commercial property investment, but what makes the difference between a great investment and a dud? The answer … due diligence. Due diligence is the questions asked, the research done and the checks and double-checks made. Taking the time to review a property properly will future-proof your investment. It will help you to identify potential risks and decide if the investment is sound. The more often you do it, the more skilled and efficient you will become. Due diligence usually takes a team effort. The Commercial Property Agent, the local council, lawyers, engineers and building inspectors – they all hold pieces to the puzzle but it’s up to you to complete the picture, based on your unique requirements or goals. First you need to understand your objectives. There are usually three types of commercial property buyers – those buying for investment purposes, real estate development or business operations. Next, make a list of all the legal, financial and technical considerations and work through it methodically. 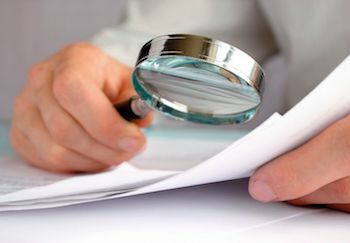 You can conduct your due diligence before or after making an offer on a property. However, if you are making an offer first, make sure the sale and purchase agreement is subject to due diligence, so you can cancel the contract if you find any nasty surprises. Due diligence is just one part of successful commercial property investment, find out more about what to look for when Buying Commercial Real Estate.